The U.S. Food and Drug Administration (FDA) is supporting over-the-counter access for the opioid overdose medication naloxone. FDA Commissioner Scott Gottlieb said in a statement on Thursday that the agency has developed and tested two Drug Facts Labels (DFLs) to support development of nasal spray and injectable OTC naloxone products. More than 72,000 people died of opioid overdose deaths in 2017, according to the CDC. A recent report found that Americans are now more likely to die from accidental opioid overdoses than car crashes. Giving drugmakers the ability to produce over-the-counter versions of the opioid overdose drug is part of the FDA’s plan to make the drug less difficult to buy. Naloxone sales doubled between 2013 and 2017 -- from about 2.5 million units to about five million units. 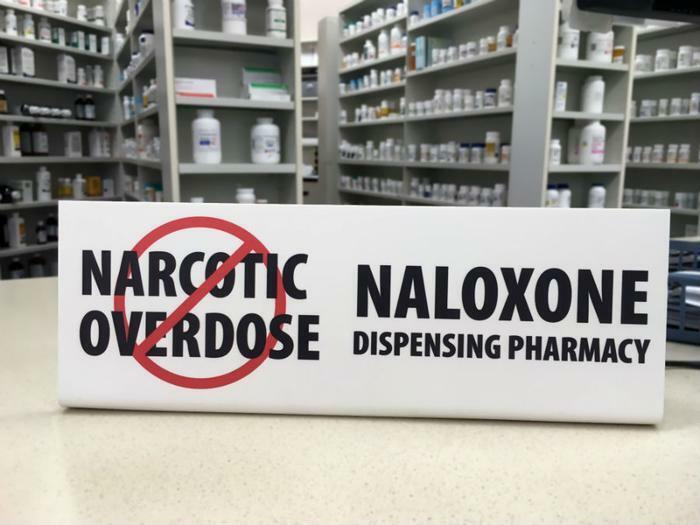 Although most states allow naloxone to be dispensed without a prescription, not all pharmacists offer the option. The FDA is currently trying to lower the cost of Naloxone and increase its availability by creating labels the industry can use as a template for over-the-counter versions that can be sold at pharmacies without a prescription. “Overall, the study demonstrated that the model DFL was well-understood by consumers and is acceptable for use by manufacturers in support of their OTC naloxone development programs. Using this information, naloxone manufacturers can now focus their efforts on final label comprehension testing of how well consumers understand the product-specific information that hasn’t been already tested in the model DFL,” Gottlieb said.